FULLY LICENSED, CUSTOM MUSIC FOR BUSINESS. NOW WITH SONOS. 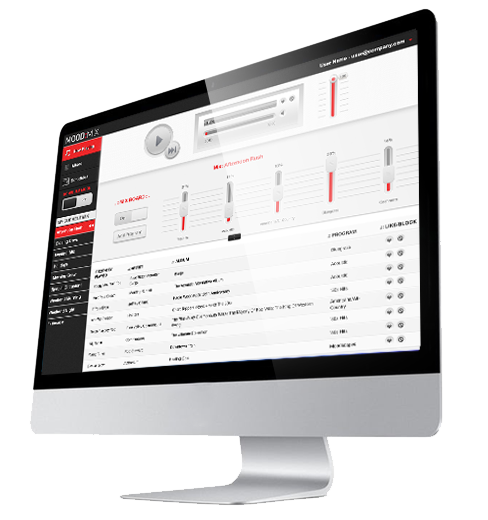 The ultimate streaming music solution for business. Now with amazing Sonos sound. 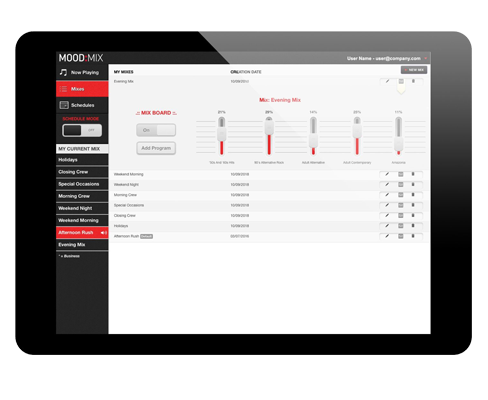 MOOD MIX IS A FULLY LICENSED STREAMING MUSIC SERVICE FOR BUSINESSES – NOW AVAILABLE ON SONOS! WHY MOOD MIX & SONOS? Fully integrated into the Sonos platform – control Mood Mix from your Sonos app and play through your Sonos speakers. Mood Mix lets you save different mixes and makes it easy to schedule what to play and when. Intuitive controls designed for business users. Log in, select your favorite genre(s) and click play.